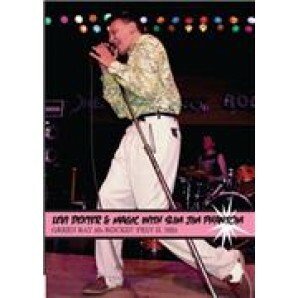 The complete performance of Rockabilly legend Levi Dexter at the Green Bay Rockin' Fest. He is backed by members of Japan's Neo-Rockabilly superstars Magic on guitar and double bass, and Stray Cats drummer Slim Jim Phantom. Could this be The Ultimate Neo-Rockabilly Band? Watch this excellent performance of Rockabilly Music at it's best and decide for yourself!